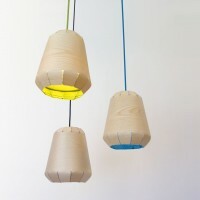 Norway-based Tuyo Design Studio have created the Frigg pendant lamps. 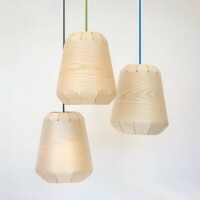 A series of lamps that combine natural wood veneer and colorful textile to create a lampshade. 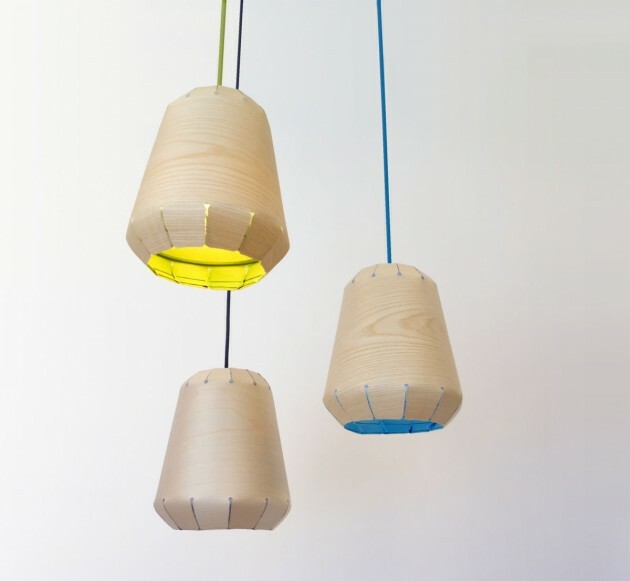 The wooden surface gives an elegant piece during daylight and a comforting glow when lit. 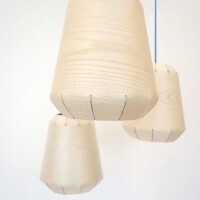 The choice of material and its application marks the innovative difference in this piece. The combined materials work together to create an organic yet geometric shape from a single 2d processed piece. It can also be configured in several sizes giving it the versatility to convert it to a standing lamp, table lamp or wall mounted lamp. Visit the Tuyo Design Studio website – here.